Mobile app developers work on the front lines of digital business. At least that’s how it can feel when faced with delivering faster, better cycles. When you consider the demand for apps is outpacing IT teams’ ability to keep up (many times over), the pressure will only continue to mount from business units, management, the development team and external market forces. Real life is a messy use case so it’s inevitable that things will not always go smoothly. 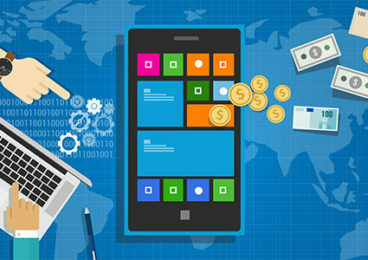 By and large when enterprises are experiencing app development challenges they know what they should be doing in theory, but not how to get there in practice. The temptation is to change everything, and we are often asked for advice on how to reboot the mobile strategy, shake up the dev process or rethink the app. Here’s my advice: by all means, change things if you need to, but put the fires out first. In other words, respond to your most immediate problems, and then look at the longer term. Here, I’ve detailed some of the most commonly seen ’fires’, and what you can do to resolve them. When an app isn’t doing what it’s supposed to, it can be incredibly frustrating and disheartening. The proliferation of devices, operating systems and form factors has made testing a lot more complex, and keeping up with the latest tools and methodologies is challenging. The good news is that if it’s a testing issue, it’s fixable with new tools and processes. Test and QA need to accommodate multiple operating systems, and execute on multiple devices, preferably synchronously. Yet, validating user experience is now easier with advances in automated visual testing. It’s also important to mimic real-life conditions that can be less than perfect:; e.g., weak signal, poor battery life, or less than optimal processing power. Finally, testing on real devices rather than device or OS emulators can uncover a whole range of performance nuances. Many enterprises who don’t have the capabilities for this type of testing in-house tend to rely on a specialist partner. Expect testing services to become more widespread as the range of connected things grows exponentially. Apps generate feedback. Companies who don’t channel that right back into the development process are squandering important, transformational opportunities. Look deeper into the issue, and you may discover a disconnect in your development and testing teams. Many enterprises are getting the basics right when it comes to DevOps practices. They establish small teams, they promote collaboration between teams and engage in Agile methodologies, but they don’t achieve the full benefits DevOps has to offer. But don’t worry, making the most of DevOps just got easier. Have you heard of the recently announced DevOps Express? This new collaboration of leading industry organizations was set up to help enterprise customers accelerate DevOps adoption, facilitating interoperability right through the DevOps toolchain. Expect integrated solutions, support and best practices to resolve key issues that can become roadblocks to DevOps adoption. This strikes right at the heart of what we expect from mobile apps, and what is expected in mobile app development. The gold standard is the ability to respond to market conditions, release new features, and perform reliably and intuitively. Continuous improvement, continuous integration, continuous delivery is the mantra; and yet, how many enterprises are Agile enough to achieve CI/CD? If cycle times of just minutes or hours seem like wishful thinking, you’re not alone. We set up a tailored program for kickstarting CI/CD in response to the demand for just this service. If full-on CI/CD is not for you right now, improving your automation capabilities is an important first step, as well as thinking carefully about the manual testing you wish to retain. If the planning stage is going nowhere fast, it’s time to go back to basics with Agile. What’s causing the delay? If you’re slipping into waterfall ways with excessive planning, ask your team: what do we need to do to deliver the minimum viable product (MVP)? Then do it. Updates can come later. Sometimes the delay comes from within the business, which can be a tricky course to navigate internally. Similar to the MVP concept, a product in planning is getting zero customer engagement, whereas an app in the wild can take off even in a relatively simple form. B2C, B2B and B2E (business to enterprise) apps are all on the rise. In the rush to deliver what the business wants, you might feel like the party pooper if you stop to question what the business really needs. However, that’s what app developers, IT and the wider business stakeholders are increasingly going to need to do. Even with the best will in the world, internal IT teams can’t keep up with the demand for apps. Enterprises will need a stringent framework for prioritizing app development as a function of how valuable they are to the business. Key factors to consider are how often they’ll be used and by whom, and if usage will drive the key business objectives, whether your goal is efficiency, innovation, transformation, or all of the above. Interested in our Mobility Development Services?